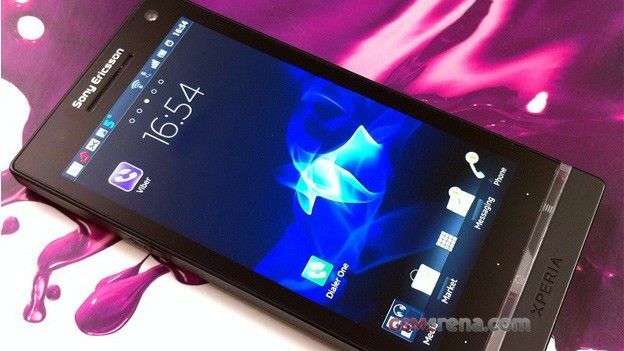 A whole host of high-quality images have appeared thanks to GSMArena showing the Sony Ericsson Xperia HD or Nozomi which will supposedly be making an appearance early next year. The handset is reportedly running on a dual-core 1.5GHz processor with 1GB of RAM putting it firmly in the upper echelons of the smartphone market, while it is set to launch with Gingerbread there will be an Android Ice Cream Sandwich update shortly after release. The rumoured about Xperia HD is named as such because of its 1280x720p screen which makes it perfect for the Ice Cream Sandwich update. If these rumours do hold up then it looks set to have a 12MP EXMOR R camera on the back and a front-facing camera for video-calling. Finally in relation to memory it would appear as though SE will ditch the microSD in favour for 32GB of built-in memory. It's important to note that these are, at the moment, just rumours and while the product images certainly can't be denied, it may not be the final product we see in early 2012 when the phone will apparently be released. Either way we can almost certainly expect to see the Sony Ericsson Xperia HD make an appearance at Mobile World Congress 2012.